The FBI's top agent in Chicago told Illinois State Police (ISP) officials that an imam under consideration to be the agency's first Muslim chaplain wouldn't pass a background test if it were up to his agency. That comment came before the State Police initially approved Imam Kifah Mustapha's appointment in 2009, a move they later rescinded after the Investigative Project on Terrorism published an article documenting Mustapha's connections to a Hamas-support network. Mustapha is suing the ISP claiming it violated his 1st and 4th Amendment rights in withdrawing its offer for the chaplain's position. The suit claims the IPT report was flawed and the state had no legitimate grounds to reject him. As part of the lawsuit, Mustapha wants to see ISP and FBI records related to its background check of him. The U.S. Attorney's Office argued those records are protected from disclosure, in a motion filed Wednesday. In it, the government said FBI Chicago Special Agent-in-Charge (SAC) Rob Grant had "several" conversations with ISP officials before Mustapha's appointment in which he advised the ISP of Mustapha's worrisome background. "In each conversation, SAC Grant stated that Mustapha would not pass an FBI background check if he applied for an FBI chaplain position and then proceeded to explain the bases for his opinion," the motion said. Mustapha's supporters say the ISP's decision was "based on suspicion and paranoia," which they blame on the IPT report. The story cited internal documents from the support network, called the Palestine Committee, which became public during a 2008 prosecution, and other court records. Grant's statements to ISP officials conducting the background check indicate the IPT story was not the first time the police had heard of Mustapha's questionable background. There is no reason to believe the information in the conversations could help prove Mustapha's claim that the ISP's decision was based on "discriminatory" reasons, wrote Assistant U.S. Attorney Patrick Johnson. "Indeed, SAC Grant's advice to ISP that Mustapha would not pass an FBI background check if he applied for an FBI chaplain position strongly suggests just the opposite." The government motion focuses on whether Mustapha's lawyers can obtain material for discovery in the litigation and not on the factual nature of the issues that caught the ISP's attention. Attorneys with the Council on American-Islamic Relations are representing Mustapha. He was named an unindicted co-conspirator in the prosecution of the Holy Land Foundation for Relief and Development and five former officials. In 2008, a Dallas jury convicted the defendants on more than 100 counts tied to illegally funneling money to Hamas. Mustapha served as a paid Holy Land Foundation employee from 1996 until the group's assets were frozen by the federal government in 2001. Mustapha also served as a member of a volunteer committee for the Islamic Association for Palestine (IAP). In testimony given in another case, Mustapha recalled donating money to HLF and "maybe" IAP. Like the Holy Land Foundation, the IAP was an arm of the Palestine Committee, which was created to promote the Hamas agenda financially and politically in the United States. Additionally, Mustapha sang in a band that performed at HLF fundraisers. In one video, submitted as evidence in the HLF trial, Mustapha sings, "O mother, Hamas for Jihad. Over mosques' loudspeakers, with freedom. Every day it resists with stones and the dagger. Tomorrow, with God's help, it will be with a machine gun and a rifle." The FBI's Grant, meanwhile, is known for his outreach in the Chicago Muslim community. 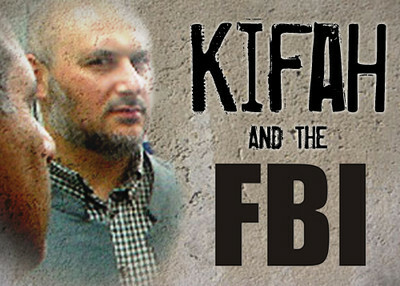 In 2009, he attended a meeting of the Council of Islamic Organizations of Greater Chicago (CIOGC) to assure members that the FBI doesn't targets mosques for investigations. "The FBI unequivocally does not plant informants in mosques or any other houses of worship," Grant said. He urged attendees to report any FBI agents acting in an inappropriate manner. 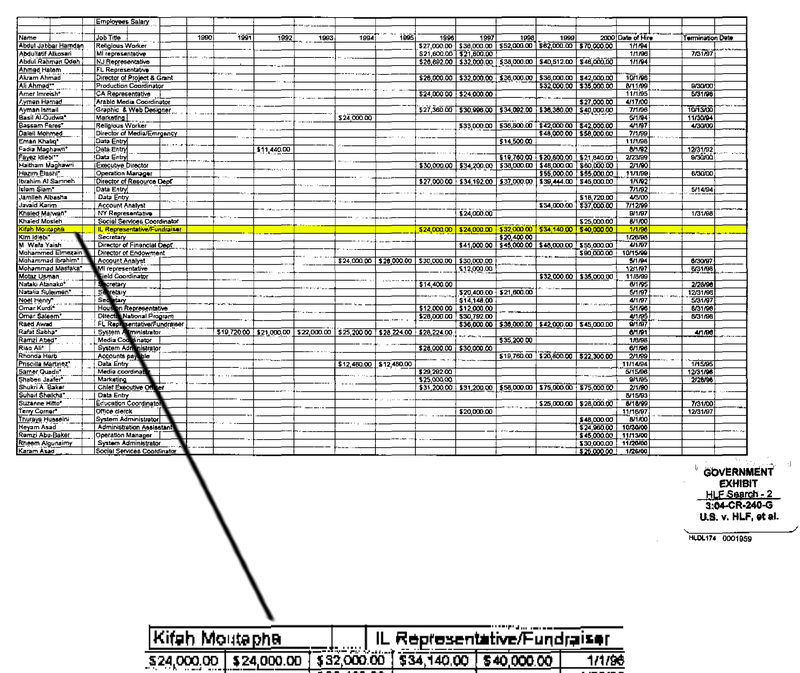 Though Grant predicted Mustapha could not pass an FBI background check, Mustapha was allowed to tour the National Counterterrorism Center and FBI headquarters in September 2010. "If we thought he was a security risk, we wouldn't have included him," on the tour, which is part of the FBI's Citizens' Academy, said Chicago FBI spokesman Ross Rice. According to the FBI Citizens' Academy website, "Because of the classified investigative techniques discussed, nominees must also undergo a background check and get an interim security clearance." For a detailed profile of Mustapha's ties to Hamas-linked groups, click here. If someone at the FBI had attempted to block Mustapha's tour of the FBI counterterrorism center, our buddy Eric Holder who have come down on that person like a ton of bricks. Islam, in most any form, is favored by the Oblamer Admin. Just don't let any Israelis in there!! "Maybe I gave money to fund terrorism. Heck, guys, I don't recall." Of course, I paraphrase, but even to admit the possibility in spite of weak memory, doesn't that tell it all? The fact that the FBI was so naiive as to allow this group to tour a facility goes beyond PC right to MI (mental illness--on the part of the idiot who allowed the tour in the first place). It is a "good paranoid" to suspect people involved with the Holy Land Foundation or its affiliates.To hire this guy as a spiritual leader for good Muslims wherever you may find them, sounds like yet another mistake on the part of the FBI. Where is Ephram Zimbalist when you need him?